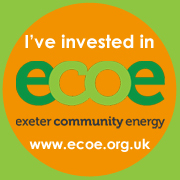 Our project, Healthy Homes for Wellbeing, provides free energy advice and free LEAP home visits for those who are eligible in Exeter, Mid Devon, East Devon, Teignbridge and Torbay. Our four Home Energy Advisers give practical energy advice and support to the vulnerable and fuel poor at drop-in energy advice clinics and events across the region, and during LEAP home visits. Need help for yourself or for a client? Use our online referral form and find us at the following venues. What is LEAP? What do the home visits involve? The criteria for eligibility are deliberately broad to cater for the wide range of issues that contribute to vulnerability and fuel poverty. To be eligible for home visits, only one criteria needs to be met including having a low income; receiving tax credits, housing benefits, income and disability related benefits; have a long term illness (physical or mental) or disability; recent bereavement. For more information on eligibility have a look at the LEAP eligibility page. Do you know of somebody who’s struggling to keep their home warm or paying too much for their energy? Tell them about our project and ask them if they are interested in free advice and a home visit. Read our Referrers guidance page and project updates for further information. To refer someone to us, please complete the referral form, or conatct us by phone or email as below. We provide talks to community groups so please contact us to arrange one. Download the information flyer which you can display on a notice board or send to your networks.